Love In Greenlawn Now Available! 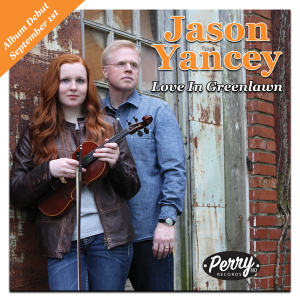 Perry Mo Records is pleased to announce, Jason Yancey’s debut album Love In Greenlawn is now available on Apple Music, iTunes, Google Play and Amazon Music. Hard copies of the album are available here. Love In Greenlawn has 13 classic and new bluegrass songs. The album features some of the best musicians and singers in the bluegrass business including Kenny and Amanda Smith, Megan Lynch Chowning, Ronnie Rouse, Adam Steffey, Mark Fain, Ned Luberecki and Noam Pikelny. We hope you enjoy our debut album! 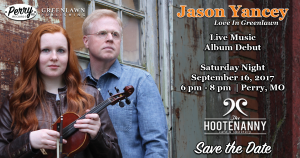 Jason and Victoria Yancey along with Ronnie Rouse will be performing songs from Jason’s debut album “Love In Greenlawn” on Saturday night, September 16th at the Hootenanny Cafe in downtown Perry, MO. This is a night of fun you will not want to miss. We will play the majority of the cd live, plus we will have some specials for those in attendance. We are excited to share our music with the community. 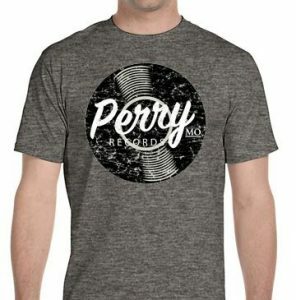 Perry Mo Records and Jason Yancey has partnered with South Lake Designs for all Perry Mo Records and Love In Greenlawn Merchandise. Click below to see the available merchandise. 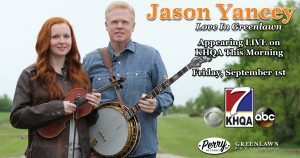 Perry Mo Records and Greenlawn Publishing is excited to announce that Jason and Victoria will be appearing live on KHQA-TV 7 (Quincy, IL) on Friday, September 1st, 2017. “We are excited to show the tri-states what we’ve been working on at Perry, MO Records,” said Jason Yancey. After almost two years in the making, the new album “Love In Greenlawn” will officially be available starting Friday. Make sure you watch Jason and Victoria Live on KHQA Friday, September 1st. © 2019 Perry, Mo. Records, a division of Greenlawn Publishing. All rights reserved.